In January, our preschoolers heard how everyone needs the love of Jesus. They also heard that many families in our community struggle to get the food they need and their families depend on local food banks, like MeadowBrook’s Open Hands Ministry. 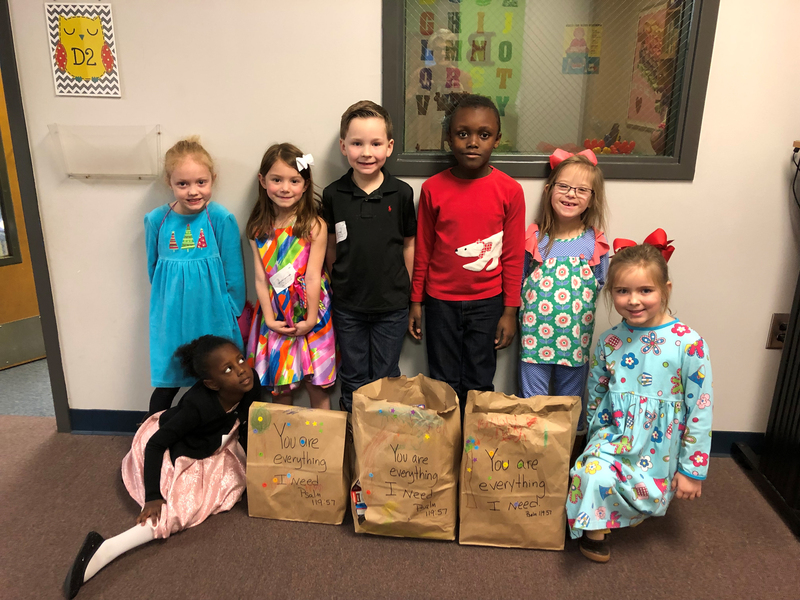 Mrs. Krista Weaver’s K5 Sunday School class chose to share God’s love with these families by collecting and donating food to the Open Hands Ministry. Psalms 119:57 You are everything I need.